Posted on September 30, 2015 by M.E. Nicki Minaj will be starring in a scripted comedy about her life on ABC. According to Deadline the as yet untitled series will focus on Minaj’s growing up in Queens in the 1990s with her vibrant immigrant family and the personal and musical evolution that lead to her eventual rise to stardom. Jay Z has a major reason to celebrate. His streaming service TIDAL has surpassed 1 million subscribers. In honor of the milestone, Jay announced a celebration in Brooklyn on Oct. 20. “Let’s celebrate 10/20 Brooklyn,” he concluded. Further details were not disclosed. Posted on September 29, 2015 by M.E. 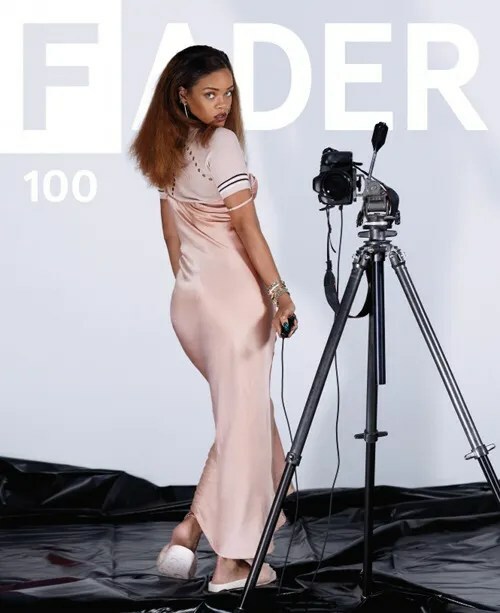 Rihanna has taken over the cover of FADER’s 100th Anniversary issue. 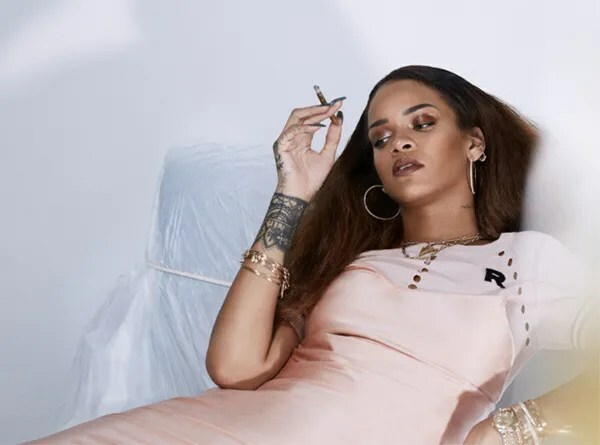 As she is busy prepping her 8th album, shooting MAC, PUMA, and Dior campaigns, RiRi found the time to turn the camera on herself. Last week over 16 million people turned in live to watch the season premier of Empire. According to new reports 4 million more viewers recorded Empire to watch at a later time bringing their total to a whopping 20 million viewers! Congratulations on continued success of the flourishing series!!! Over the weekend Love and Hip Hop Atlanta’s Mama Dee was arrested in Milwaukee after she was accused of trying to dine and dash on her birthday dinner. 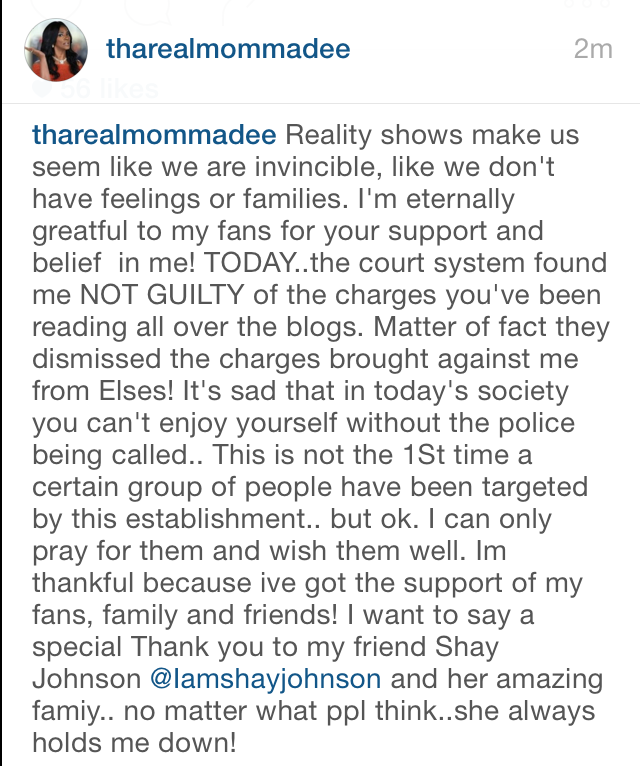 Looks like Mama is in the clear, because Mama Dee announced on Instagram today that all charges had been dropped. Over the weekend rapper Fetty Wap was injured in a motorcycle accident after colliding with an oncoming car. Aside from being half blind there are several other reasons Fetty shouldn’t have been on that bike. According to reports Fetty Wap was cited by police after the accident for driving without a licence, not having insurance and failing to produce a vehicle registration. Last night Fetty Wap updated fans on his condition revealing his leg had been broken in three places. In a statement to the media Bobby Brown formally accuses Nick Gordon of harming his daughter Bobbi Kristina.